Ben began to experience a love for the auction method from a young age, when he attended auctions with his Papa. For over 30 years now, he has been associated with various auctions and served many people. At the young age of 20, Ben went to work for USA Auto Auction in Amarillo, Texas and quickly began to work at several other Auto Auctions as well. During his youth, Tom Flowers was conducting the annual auction for Ward Brother’s Tractor in Clovis, New Mexico. At the time this was the largest used farm machinery auction in the country, lasting 3 days on an annual basis. Ben had a long tenure with the company and worked at this auction for 13 years. For more than 20 years, Ben has been the West Texas portion of Ben Jenkins Auctioneers of Carlsbad, NM. The “Ben and Ben” show has held many successful auctions over this time period. 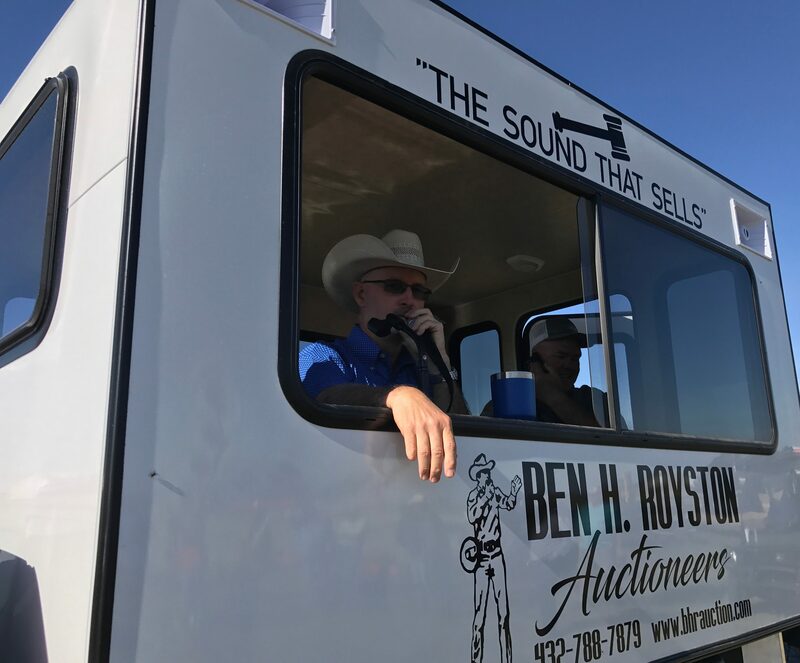 With the current need to offer both live and online auction services, we have branched out and started Ben H. Royston Auctioneers. Using today’s existing technology, we can connect our sellers with thousands of interested buyers around the world. Our auctions combine live onsite bidding with live and proxy online bidding, which creates the best of both worlds for everyone involved. My wife of 32 years Audra Royston serves as the administrative assistant and bookkeeper for the company. Two of our sons, Jonathan and Jacob, serve as the IT portion of the business. Our middle son, Blake, proudly serves our country in the Marine Corps, while our daughter Kayla Johnson takes care of our 2 grandchildren. Thank you for visiting our site and feel free to call or email for a free private consultation about your auction. We would be extremely happy to serve you.